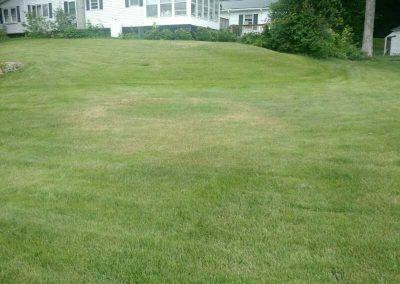 My lawn looks burnt! Is it? Or is it something else? 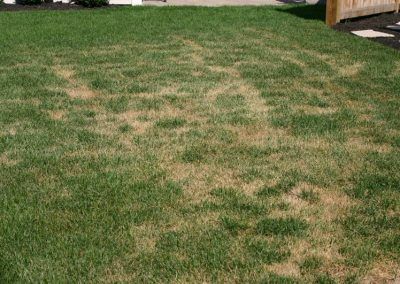 We have been receiving many calls over the past week or two of concerns that lawns are turning brown in sections and appear to be burnt! While the first assumption would be because of an application made, experience can usually lead to a different reason. These are what many would assume to be a burn. In fact, they are not a burn at all. There is however, stress to the turf grass without a doubt! Here is the weather data we have received in the past couple weeks. 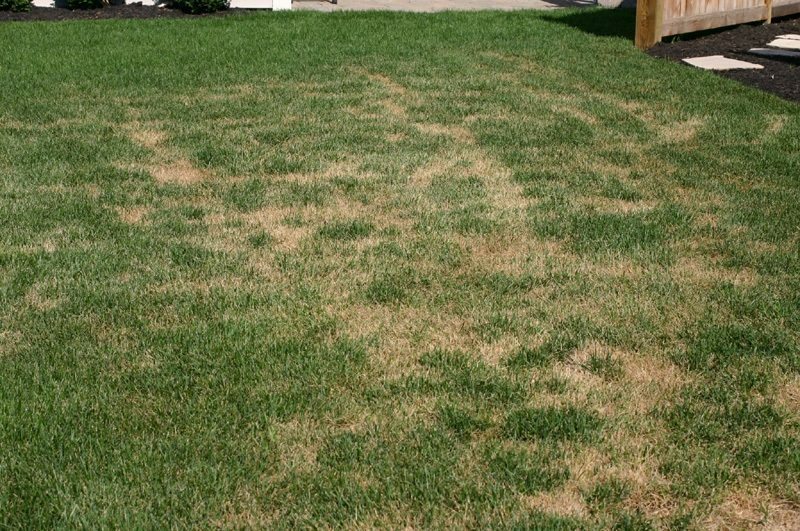 Since we have cool season turf grass in our areas, it’s reasonable to expect there to be a “cooler” temperature that they thrive in. This happens to be around 55 – 65 degrees! Looking at the weather data, you can see we had a spike around May 28th and another more substantial spike around the 31st through the 2nd. 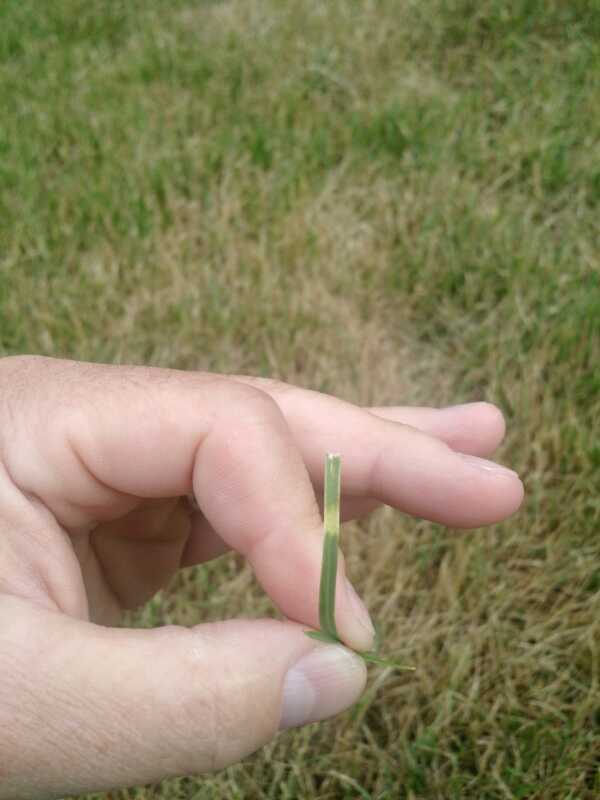 When we go from 60 degrees or so weather to 85 – 90 degrees in a day, it simply shocks the plants as well as creates prime conditions for fungus! 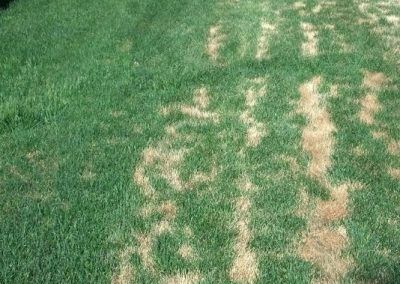 Specifically Blight, Dollar Spot and a few others. 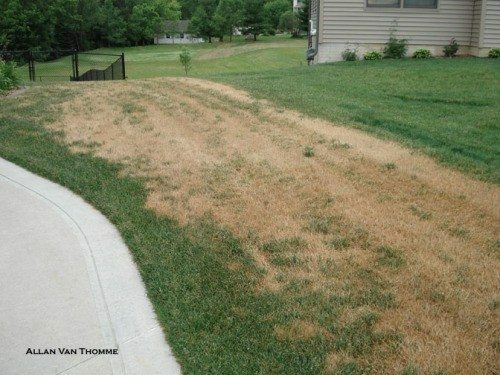 Many lawns we have seen were cut the day of or day after the high heat spikes. Some were even cut with dull mower blades! These takeaways are important to understand. 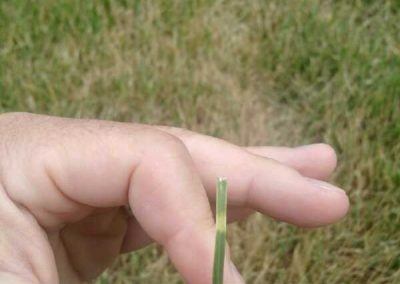 This is another reason why we always tell our customers to mow their lawn TALL! 3” or more, if you can stand it. The taller you consistently mow, the deeper the roots will grow. 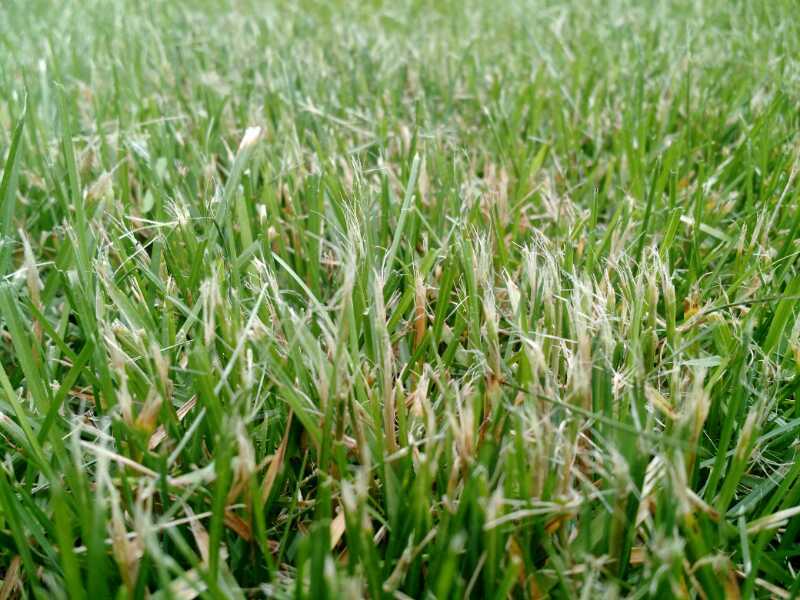 In addition to that, you’re allowing a natural cooling effect to take place at the soil surface by allowing the grass to be taller. We always say “if you want it to look like a golf course you’ll have to maintain it like one”! That means constant monitoring, controls, amendments, watering, super sharp mower blades etc. 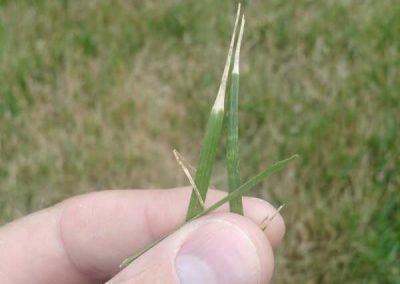 If you don’t have the desire or means to care for your lawn like that, then we suggest raising your mower blade and ensure you are not removing more than ⅓ of the blade per cut. 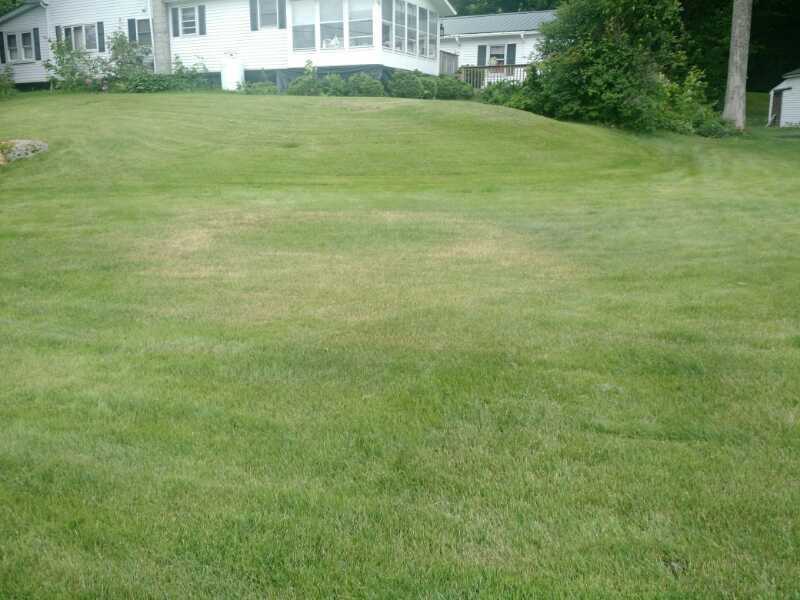 If you have noticed in years past when we get into July, August & a bit of September lawns really slow down and start to turn brown, this is because of the weather! 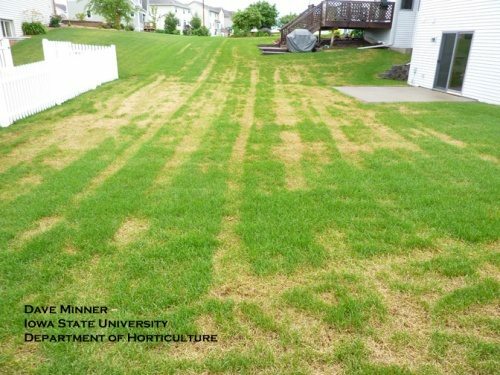 Minimal water and higher temperatures = slow growth, stress & fungus. 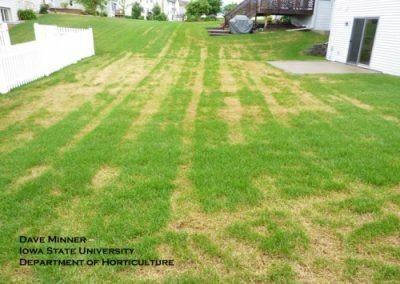 Just because you have a lawn service feeding your lawn doesn’t mean you won’t run into problems beyond weeds and a green lawn. If you have any of these concerns, email us a photo and we will have a look. If necessary, we can make a site visit. However, if you can pay attention to the weather and notice the trends, you’ll be able to do your own basic diagnosis as to why things are looking less than what you may expect. 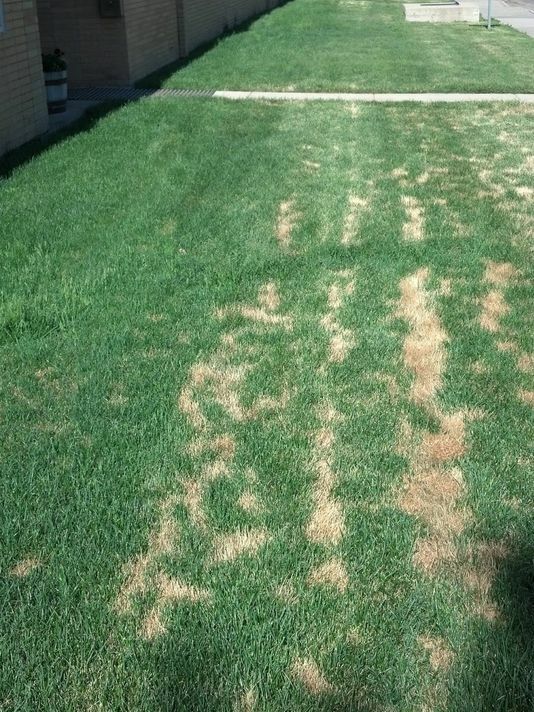 Your lawn WILL recover under normal circumstances. 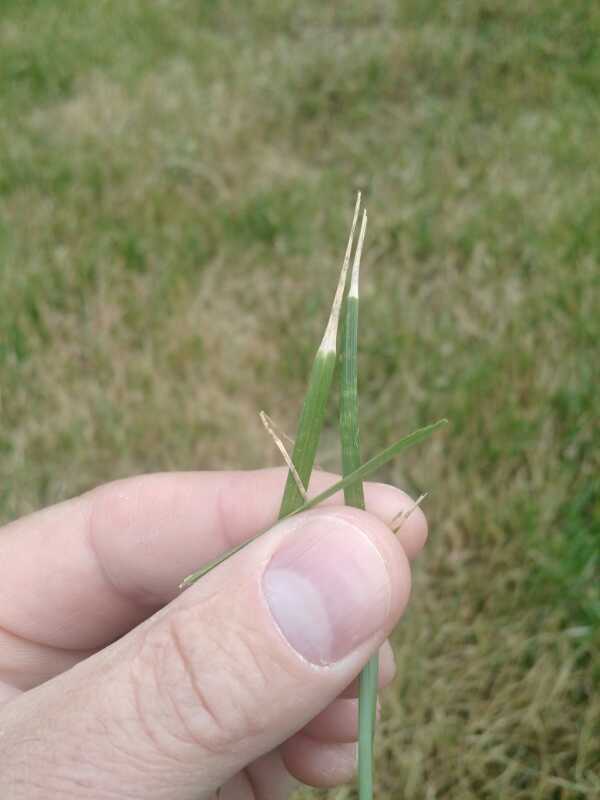 Waiting for the weather to improve, ensuring you are cutting with a sharp mower blade, not mowing when it’s wet (will prevent spread of the fungus), mowing at 3″ in height, watering stressed lawns IN THE MORNING as opposed to mid day or afternoon are all things that will help with the recovery.